Spain is hot, especially in August! Sierra de Cantabria Mountains. istock photo. Spain is hot, especially in August! Like St. Louis, temperatures can rise as high as 100 degrees. 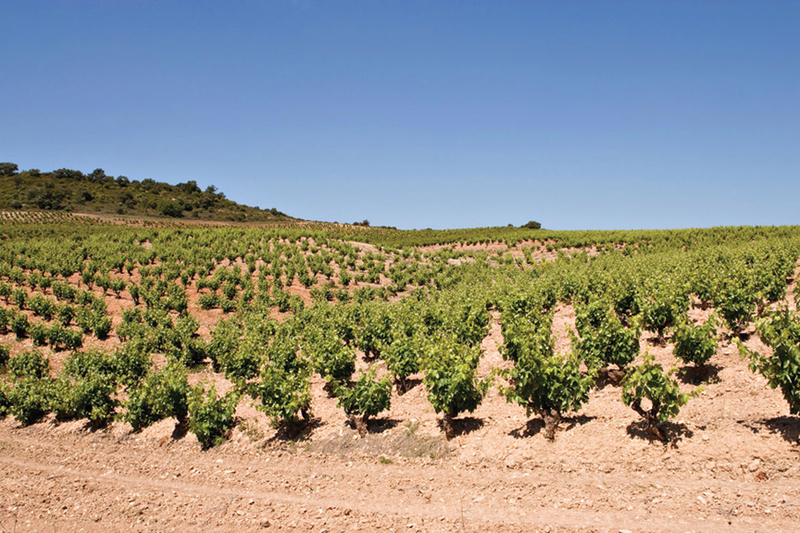 Despite the heat, Spain is best known for the production of red wines, largely because of the hardy Tempranillo grape, which is widely planted all over the country and used in the vast majority of Spanish red wines. In the past few years, there has been a growing awareness and appreciation of the aromatic and “food-friendly” white wines produced in Spain from grapes with names like Viura (also known as Macabeo), Verdejo, Parellada and Xarel-lo (pronounced “shar-lo”). While they are not exactly common white grape names that American consumers are used to seeing, these grapes are well worth seeking out for their compatibility with many summer dishes and how affordable they generally are. Viura, as it is known in Spain’s famed Rioja region (where it makes up 90 percent of the region’s white wine production and is the most popular grape in Northern Spain), is a hearty variety that grows very well in hot and dry regions and buds late, which makes it less likely to be harmed by frost. Viura wines from Rioja are characterized by bright citrus and tropical fruit flavors, softened slightly by white flower notes, but with higher acidity than the examples from other parts of Spain. 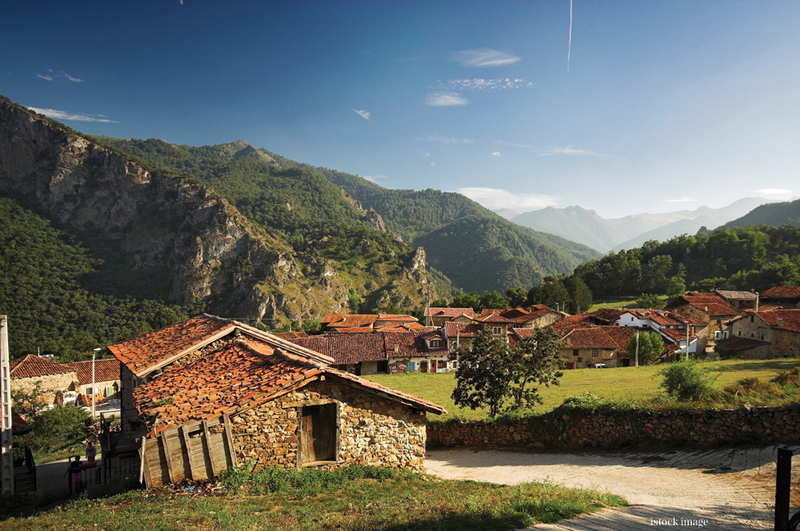 Balance and freshness are noticeable in the best Viura wines, such as wines from the Rioja Alavesa, the subregion just north of the Ebro River, with vineyards dotting the foothills of the Sierra de Cantabria Mountains. 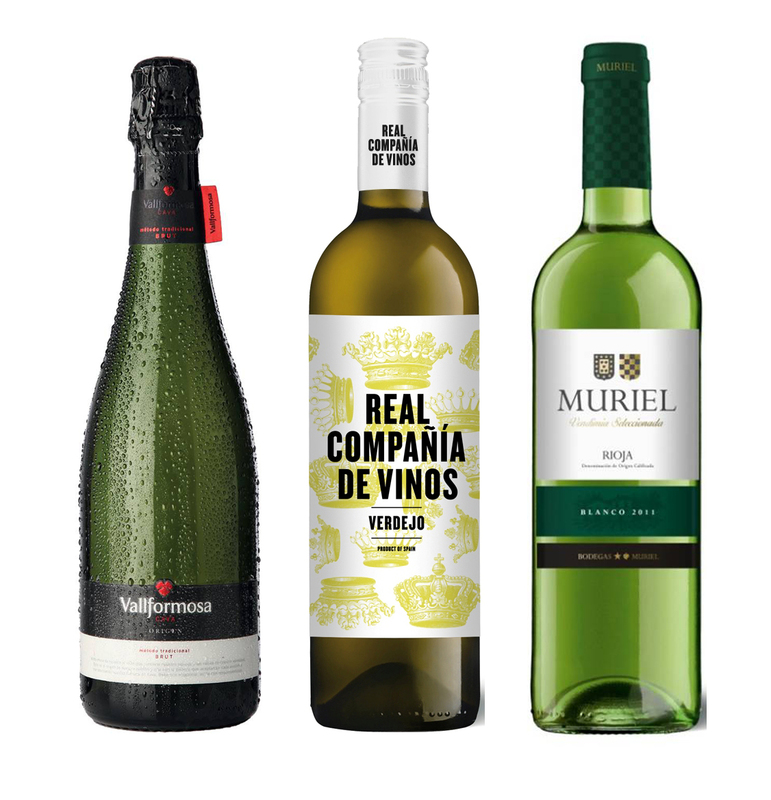 Bodegas Muriel Blanco, which is 100 percent Viura, is a great example of the white wines coming from Rioja Alavesa, at less than $15. In other parts of Spain, the same grape is called Macabeo, which is actually the original ancient Moorish name for this versatile, Spanish native grape. In the arid La Mancha region (the largest grape-growing region in the world, where one of the world’s most famous fictional characters, Don Quixote, “did battle” with the region’s ubiquitous windmills), the grape takes on even more citrusy flavors, making the wines ideal for shellfish dishes, such as a mango-laced cold shrimp salad or Gambas a la Plancha (pan-grilled shrimp). 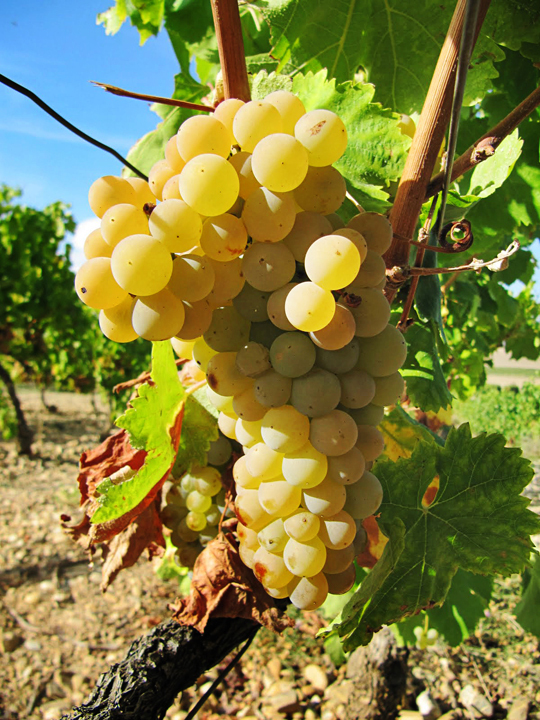 The Verdejo grape originated in North Africa and was brought to Spain around the 11th century, migrating northward to regions like Rueda and La Tierra de Castilla, in the aforementioned La Mancha region. In these regions, the Verdejo grape often is harvested at night, going into the wineries at much lower temperatures than during the daytime when temperatures in September’s harvest season are still hovering around 90 to 100 degrees. This way, the winemakers can keep oxidation (or browning) of the juice to a minimum, and the resultant wine is full-bodied, yet soft. Verdejo has a distinctive nose, redolent of fennel and sagebrush, often blending with tropical fruit and citrus flavors, as well as a slight bitterness that is also characteristic of the grape. At about $10, the Real Compania label has both a Macebeo (in its Blanco wine) and Verdejo from Spain’s North Central plains. Just south of Barcelona, in Penedes on Spain’s east coast, Macabeo is blended with other native Spanish grapes Parellada and Xarel-lo to make Spain’s great sparkling wines, known as Cava. They are made in what is known as “method traditional,” going through a second fermentation to make the bubbles exactly the same way that France’s Champagnes are created. They are the perfect sipping wines to cool things down on a hot summer day and work extremely well with all kinds of foods, especially those with a bit of spice. Cava, most of which is in the Brut category, costs around $20. You cannot go wrong with any from the DO (Denominacion de Origin) of Penedes. Vallformosa Origen Brut Cava comes from a family whose roots in Spanish wine go back to the 1860s, not long after the first Cava was produced. A great twist on the traditional cocktail party, especially during a sultry summer, is tapas and Spanish whites. Serve myriad Spanish finger foods like foie toast with jamon Iberico (the extraordinary ham of the Iberico region is now available in many U.S. gourmet shops and through the internet) or spiced clams (with Arabic spicing to create a hot sauce), alongside chilled bottles of the above Spanish whites. Sit back and enjoy watching your guests’ pleasure in discovering their new favorite white wines. 1. Whisk together all dressing ingredients in a large bowl. 2. Add all salad ingredients and gently toss to combine. 3. Serve immediately, or cover and chill up to 1 hour. In a bowl, whisk together the olive oil, lemon juice, and salt until well blended. Dip the shrimp briefly into the mixture to coat lightly. Heat a dry skillet over high heat. When the pan is very hot, working in batches, add the shrimp in a single layer without crowding. Sear for 1 minute. Decrease the heat to medium and continue cooking for 1 minute longer. Turn the shrimp, increase the heat to high, and sear for 2 more minutes, or until golden. Keep the shrimp warm on an ovenproof platter in a low oven. Cook the rest of the shrimp in the same way. When all the shrimps are cooked, arrange on a platter and serve immediately. Slice the onions and put in a pot with the olive oil and sugar. Cook at low fire for 1 hour (microwave 15 minutes). Cover the pot. Add the wine and cook for another hour without the cover at low fire (if you do this part the day before, flavors will stand out). Toast the bread and spread the onion mixture on it. Lay one slice of Jamon Iberico on top. Prepare a pan at high fire and when it's very hot cook only for 30 seconds each side of the duck foie gras. Lay it on top of the Iberian acorn ham and pour some kitchen salt on it. Place the onion, celery, garlic and ginger in a large pan, add the olive oil, spices and chopped parsley and stir-fry for about 5 minutes. Add the clams to the pan and cook for 2 minutes. Add the wine, then cover and cook gently for 2-3 minutes, shaking the pan occasionally. Season. Discard any clams that fail to open, then serve, garnished with the celery leaves.